Comics and graphic novels are the theme of Banned Books Week this year. It was the perfect time to finally read Fun Home. I haven't been completely under a rock, I've known about this book and have been meaning to get to it for years. You readers know how that goes! So many books, so little time. I can't tell you how glad I am to have finally made the time for this one. What an exquisitely painful, beautiful, and moving story. There aren't many things I can say about this book that haven't already been said. It's as funny and as powerful as everyone has been saying for years. It will break your heart and make you feel entirely hopeful at the same time. 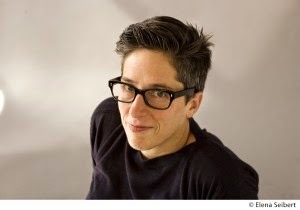 Fun Home is an absolute triumph. If you haven't read this you shouldn't waste another moment. Read it. Now. 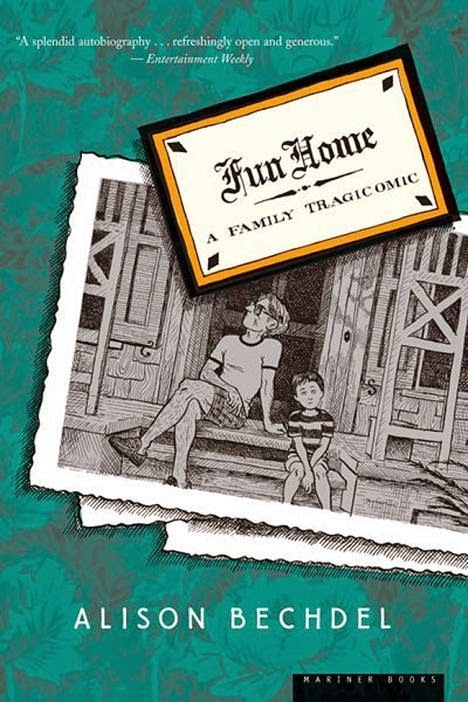 Here's a great case study of Fun Home by the Comic Book Legal Defense Fund on where and why this book has been banned/challenged. This looks great. I need to see if I can find it. Yes. Yes you do. I think this would be the perfect book for the upcoming Dewey's readathon, if you plan on participating. I had never heard of this one! I must read it! Great addition to our Banned week! Thanks :D It was beyond excellent! Thanks Jennifer- apparently I DO live under a rock, because I've never heard of this one. 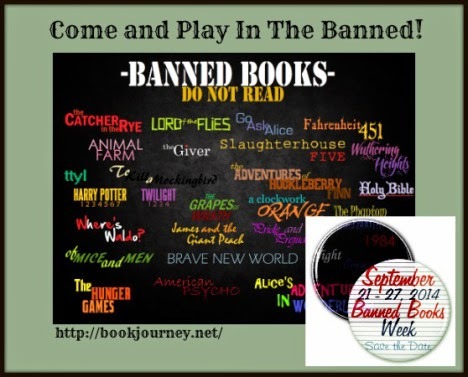 I also didn't realize that Banned Books Week had a theme this year, although I have read posts about Bone being banned. Thanks for all of the insight and a well done review. I'm honestly not a big fan of graphic novels but this one looks compelling. This is a new one for me! Great choice! I didn't realize Banned Books week had a theme this year, either. So THAT'S why there've been so many graphic novels being discussed. I'm doing a podcast on graphic novels next week so I'm trying to cram as many as possible in between now and then. It's not a genre I usually read, but this one sounds great. Thanks.